How Do I Start a Career in Immigration? A recent Federal Court decision from Justice Alan Diner in Ouedraogo v. Canada (Public Safety and Emergency Preparedness) 2016 FC 810 raised a very interesting question that has at least sparked a strategic shift in the way that I prepare employment reference letters. In Ouedraogo, a reference letter was submitted in English for a period of employment where the Applicant claimed to have worked as a chef in Iran. One of the reasons for concern which was a contributing factor to the refusal was that the reference letter was written in English, which from the visa officer’s perspective was out of the ordinary for Iran and raised credibility issues. 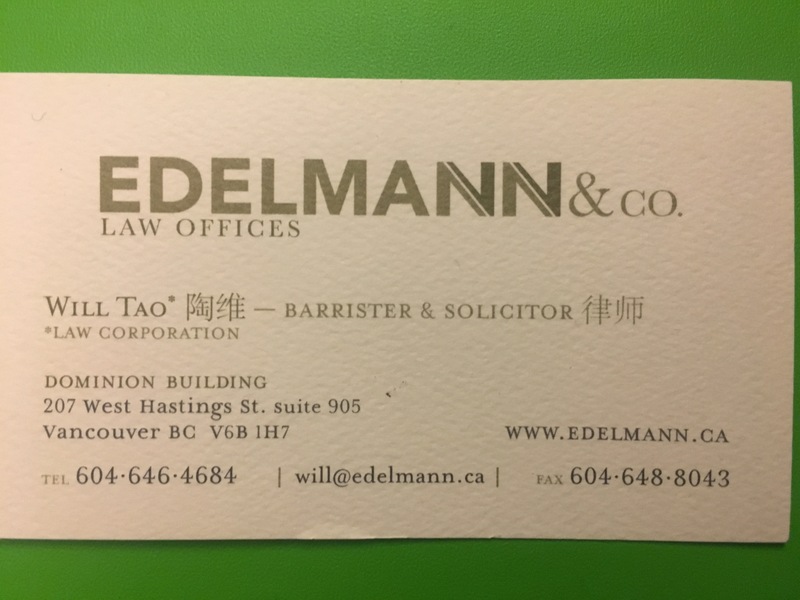 In my own practice, having taken carriage of many files where a poorly written (or in many cases copied/pasted) employment reference triggered procedural fairness letters, I have started to employ a new strategy – encouraging the drafting of employment letters in native languages rather than English. This process is clearly more time consuming. Rather than having a draft start and end with as their representative, I assume a role as a middle assessor. I ask the client to approach their former employer, with the guidelines served by the NOC code and strict instructions that any copy and pasting or even paraphrasing does more harm than good. For some reason (having again seen these employment letters) there is some misconception that the actual duties must reflect point by point all of the duties listed in the NOC. This is wrong and in fact, a trigger for credibility, in my perspective. In fact, for me the perfect reference letter duties have a right balance of the expected duties from the NOC but also the unique duties of the work place. Rarely do jobs cookie cutter fit the NOC and this is not a weakness – as long as the other elements are there and credible (i.e. education/wage). One of the consequences of not writing reference in the writer’s original language is that IRCC has been (and I applaud them for taking resources to do this work) following up with employers. However, often times this follow-up is not through a written request but rather through a phone conversation where an interpretation may or may not be present. My gut feeling is where IRCC sees the letter in perfect English they assume the employer can speak perfect English and not that the letter was drafted on their behalf by a representative. I have seen a few cases where unsuspecting employers were caught in the middle of the road on their bluetooth or in the middle of a busy day, by immigration, eventually giving inaccurate details that had a negative affect on the client’s application. Particularly where English is not the letter writer’s native language, many of the answers will inevitably not satisfy an investigating officer. My advice is to pony up the additional funds and have the reference letter written in the native language and then translated by a certified translator into English. I always include a line stating that the Employer does not speak English and prefers to be called via interpretation. Should I employ English as the language of choice, I similarly instruct the Employer to write the letter and to carefully read any letter put forth to them by the Employee as their may be some long-term consequences if the information is untrue. So far, this practice has been quite successful. Perhaps some of you have some thoughts on this strategy? Join me for the next Policy Friday Open Office Co-Working Session on Friday, February 22, 2019 from 4pm to 6pm! "Responding to IRCC Procedural Fairness Letter"
Unless otherwise stated, I do not own the rights to any of the images displayed on this site. I have tried to use generic/open share photos. However, should I have inadvertently used your copyrighted image please inform me and I will remove and replace said image immediately.